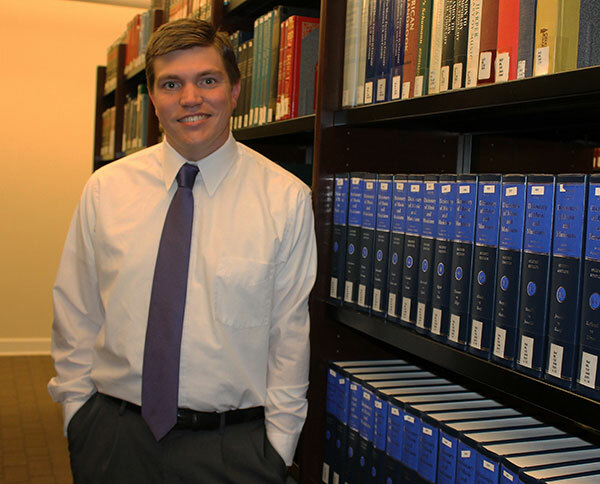 Ben Mullis of the University's library digs into #MGA's history. Full Title: Reference and Instruction Librarian. Degrees: Master of Library and Information Science from Valdosta State University, Bachelor of Arts in History from Valdosta State University and Associate of Arts in History from the former Middle Georgia College. Accomplishments: "I take the archival material the University has compiled since consolidation and am organizing it into a usable resource. I have created an organizational matrix for the archive collection, so any material that comes in I add to the collection. I am helping preserve the institutional history by gathering together all material relevant to the history of the University and organizing it so we can highlight what makes us a great institution. Now that I have my way of organizing the material, I am sending out a call for any material that our faculty and staff may have that would be relevant to the University's history. "In addition, I have and continue to serve on the staff council. I am presenting on the importance of the library in higher education at a conference this fall. I have served as a staff advisor for the Baptist Collegiate Ministries and I am collaborating with Career Services, Student Life and the School of Education to help reestablish the MGA Professional Closet. The Professional Closet helps students have access to affordable clothing they can wear to job interviews." "Middle Georgia College, now Middle Georgia State University, was the place where I began my academic career. I worked as a student assistant in the library. I wanted to begin my professional career here and to make the educational experience as good as the one I received. The people are also a huge draw. We have excellent faculty, staff, and students." "The people are the best aspect of working here. My coworkers in the library are wonderful. The students are engaged and care about their education. Everyone here cares about building a great institution of higher learning." What does it take for students to succeed in today’s educational environment? "Hard work is the best way to succeed in higher education. College is hard, but if students make the effort necessary they will succeed. Time management is a crucial skill. Students should also learn how to use their library resources, which we would love to help you with." "I am an avid outdoorsman. I love to hike, camp, fish and hunt. That is not the image of a typical librarian."